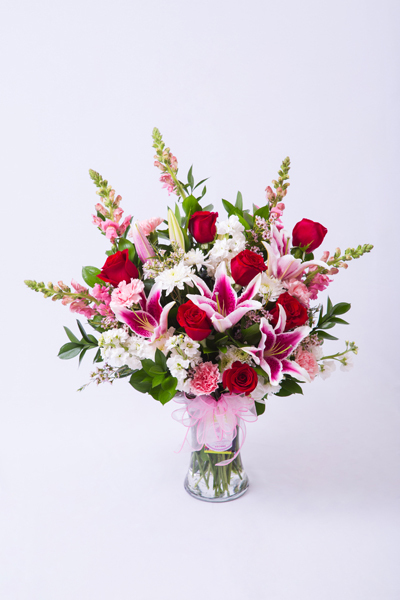 Send this full and lush arrangement of mixed red roses, pink stargazer lilies and white florals to your perfect love! Presented in an 8 inch vase. Container and flower may slightly vary.